Lamacchia Realty Inc. is happy to provide Providence County, Rhode Island with their slew of leading real estate services. Lamacchia Realty has grown from a local Massachusetts company into one that services much of New England. Our success stems from getting home buyers and home sellers getting the results they are looking for. 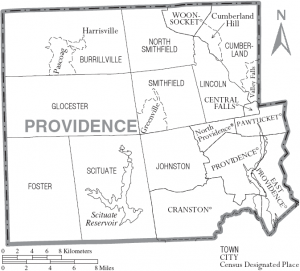 From East Providence up to Cumberland and down to Foster RI, we are experts in each local community. When selling your home with Lamacchia Realty Inc, everyone will know that your home is on the market. Throughout Providence County we target television, real estate websites, social media, high quality photos, interactive floor plans, reverse prospecting and much more to make sure you succeed. It all starts with visibility and there is no company that has the ability to get eyes on your listed home better then us. Whether you are looking in a specific town in Providence County or in a more wide spread area, it’s important that your real estate agent understands what your criteria is and is able to get you the house of your dreams. Buying a home has a lot of steps but the most important thing is that you aren’t wasting money, you can get a good deal and you are able to find exactly the home that fits your needs. Explore some of our home buyer tools and contact Lamacchia Realty to learn about what sets us apart. With over 600,000 residents living in Providence County you can certainly imagine that each town and community is different. As a whole, living here provides home owners with an easy commute into the city of Providence. The towns that are further out from the city are great because you can enjoy the suburb life but are no more then a 40 minute drive into the city. For more information about a specific town, home buying or home selling please feel free to reach out. Lamacchia Realty Inc. can be contacted over the phone at 855-510-SOLD or through our online contact form.